BackgammonMasters, the online gaming site that offers popular casino and board games including Blackjack, Backgammon and Poker, says they've enlisted the “Blackjack Teams” from Massachusetts Institute of Technology (MIT) to test out their new Blackjack platform as well as their Basic Blackjack Calculator. Following the recent release of “21”, BackgammonMasters was inspired to put their software to the test. “21”, based on the book “Bringing Down the House”, written by Ben Mezrich, tells the story of a group of students at MIT who succeeded in beating Las Vegas odds by putting together teams of card counting blackjack players. Now BackgammonMasters is putting their software up against MIT geniuses to see how they do. 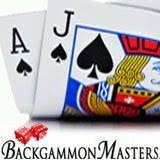 In BackgammonMasters online game of 21 Blackjack, five players can play at one time against the dealer. Additionally, the site is offering a new Basic Blackjack Calculator to help players increase their odds and even help card counting players. However, while the Basic Blackjack Calculator helps prevent players from making mistakes and overlooking great decisions there are other elements that the MIT Team will have to deal with that are not found in a live casino setting. These variables include the online standards for a random shuffle, the number of decks and the extensive research and study that was put into designing the software. BackgammonMasters’ new Blackjack platform also includes Blackjack tournament play. 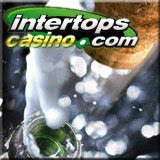 BackgammonMasters.com will offer 21 Blackjack Tournaments in which tables will compete against one another for top scores and huge prizes. 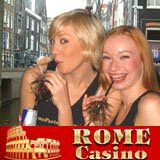 BackgammonMasters’ Freeroll backgammon tournaments have already proven that they are capable of offering great tournament play. Not just MIT Blackjack Teams are going to test the platform. BackgammonMasters invites all Blackjack lovers to come aboard and test out the system and is offering bonuses for teams that tell their friends and invite other players aboard.